Unfortunately, I am very happy with my own stereo setup at the moment, and I don't feel anything lacking, be it hifi aspects, involvement, drama or what else a good musical event can deliver, regardless whether live or recorded. So I hope you don't mind that I am not enthusiastic at all. 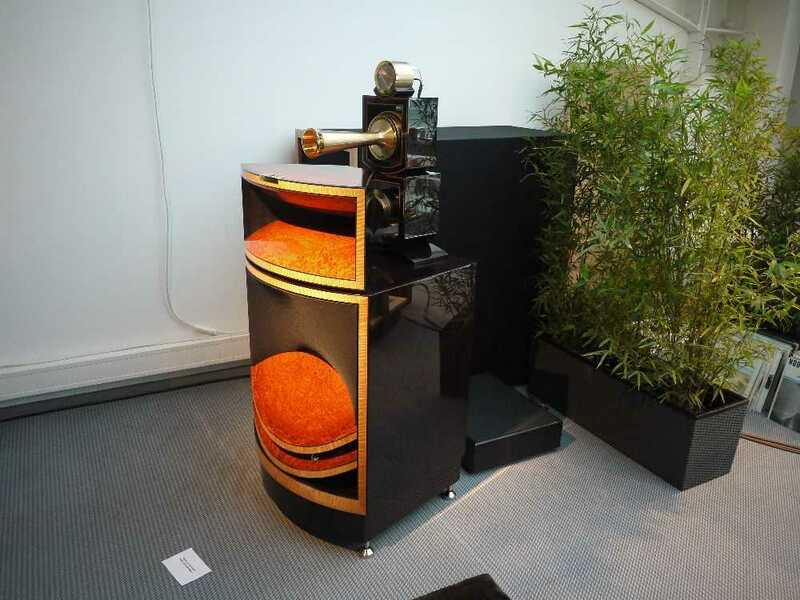 Silbatone brought a pair of Western Electric Mirrorphonic 3 cinema speakers. 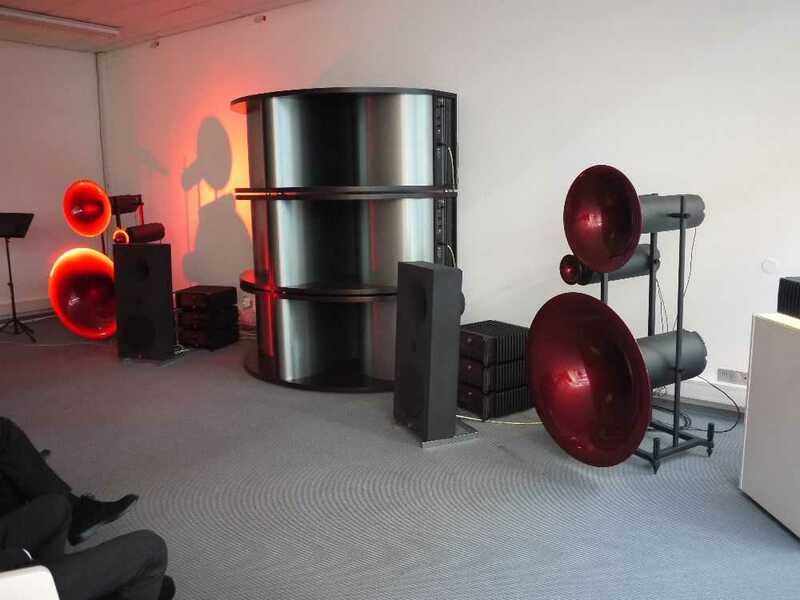 This system did not need extra subwoofers. You could nearly take a bath in the bass waves. 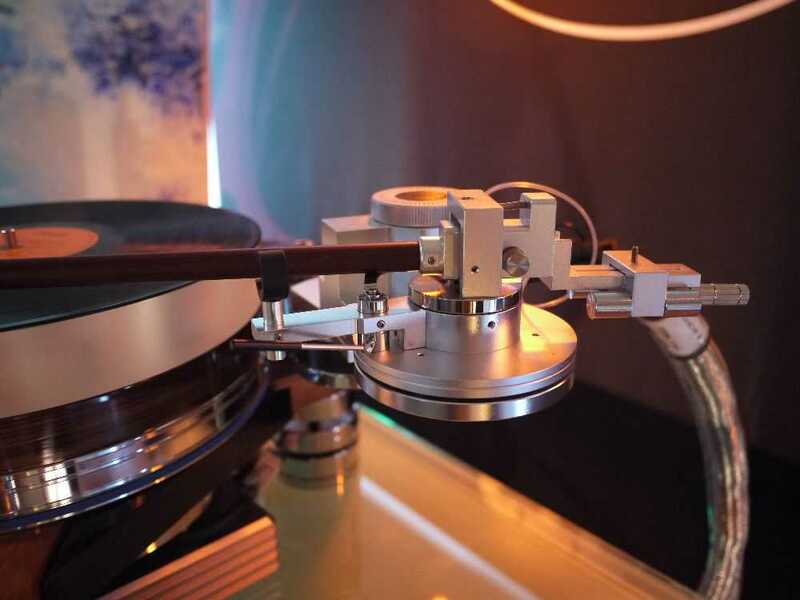 Drawback was that the magic midrange of last year's Western Electric 16A was missing. Well, you cannot have it all. 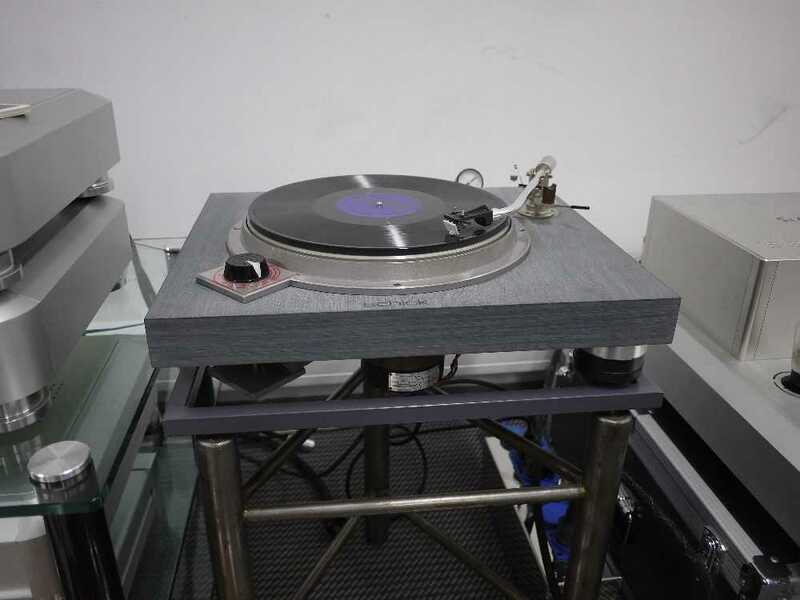 Thomas Schick brought a Commonwealth turntable in polymer plinth on air suspension feet, equipped with his own Schick tonearm. 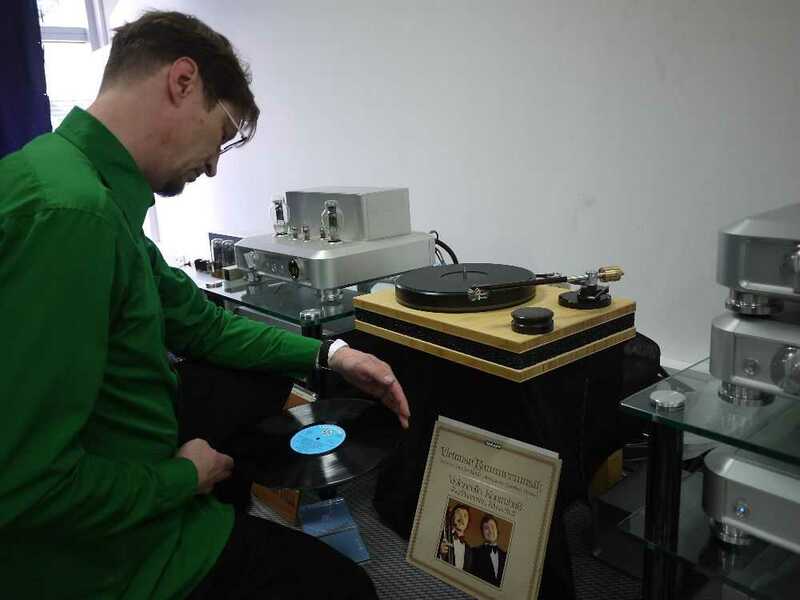 Frank Schroeder featured his own turntable based on the Artemis turntable, and the Schroeder LT (linear tracker). Joe Roberts and Mr.Chang played a lot of classical music as well as the usual Led Zeppelin - Whole Lotta Love, Kraftwerk - Autobahn, Deep Purple - Smoke on the water. Great fun, as expected. When I wrote my 2012 show report I predicted that Silbatone would not be able to better the 2012 performance in 2013. Well I think I was not wrong. 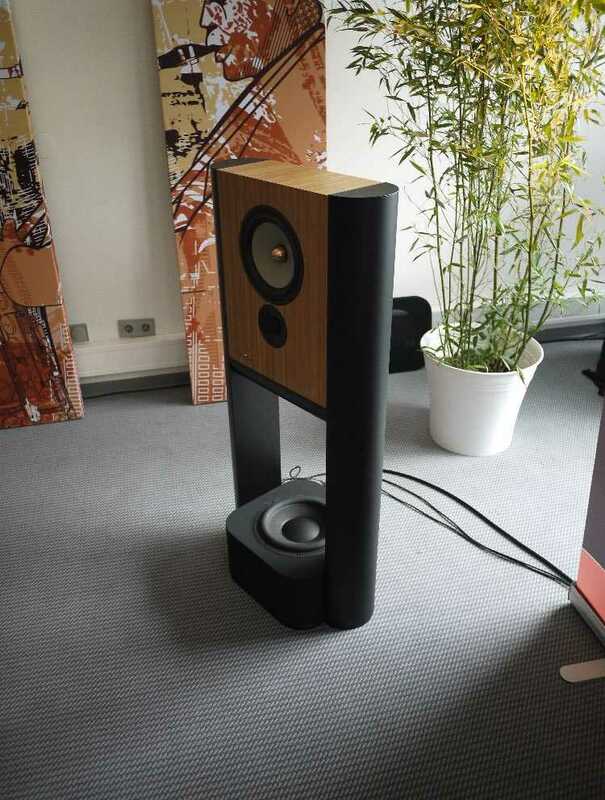 Lving Voice showed their big and expensive Vox Olympian loudspeaker. 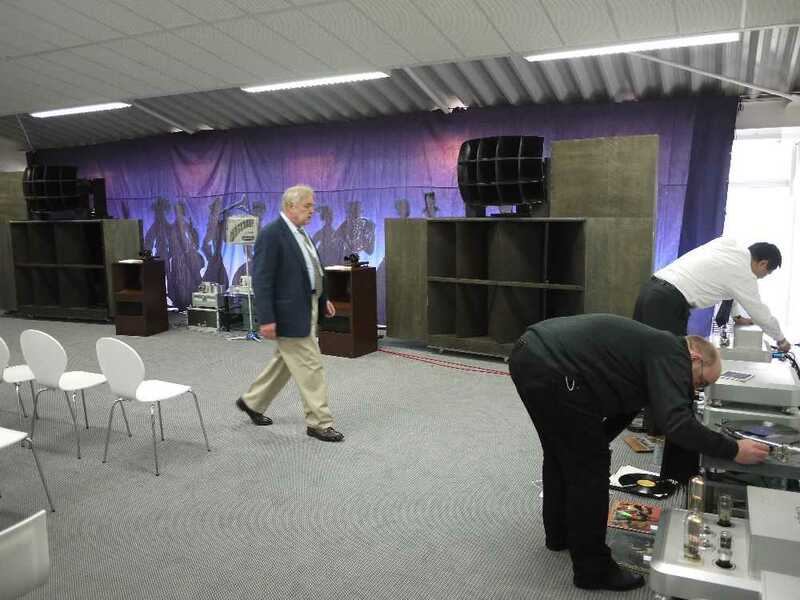 Although this is a big horn speaker, it needed some extra woofers at the show. Sound was smooth, though. I liked the looks, but coud not find more information on the internet. 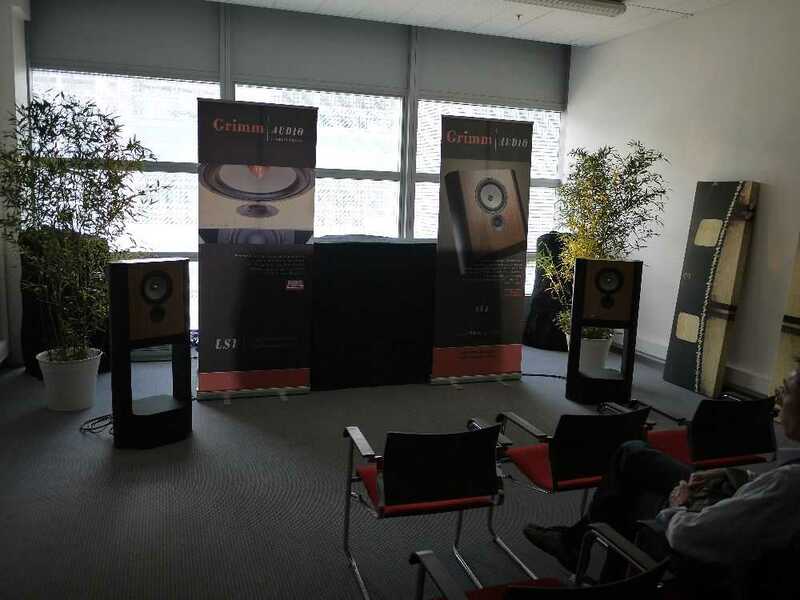 Audiaurum was a new company introduced at the show. 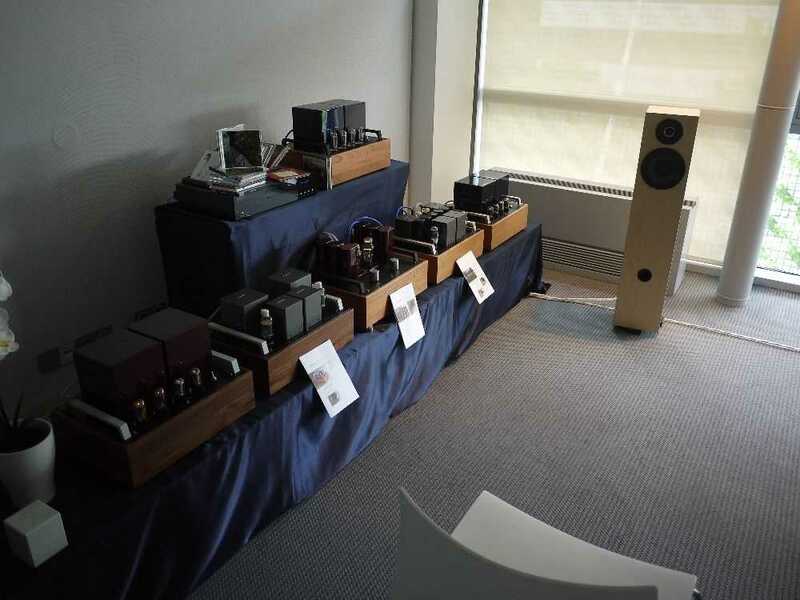 The amplifiers are designed and built by Thomas Mayer, who is well-known in the DIY community. He just quit his job as head of research and development of a major LED lamp company, and is about to concentrate his activities on audio only. 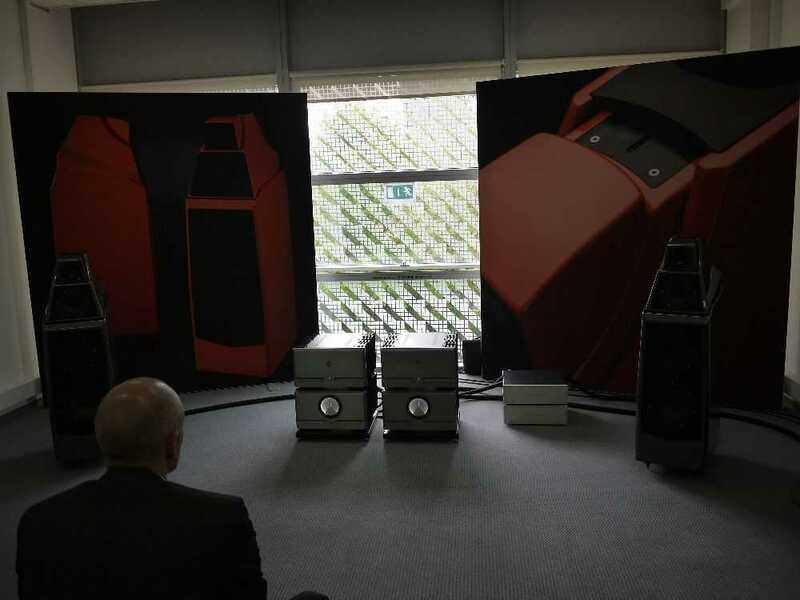 Wilson Audio showed their new Alexia loudspeaker. Honestly, I have not expected that it could sound good, but actually, I liked it. 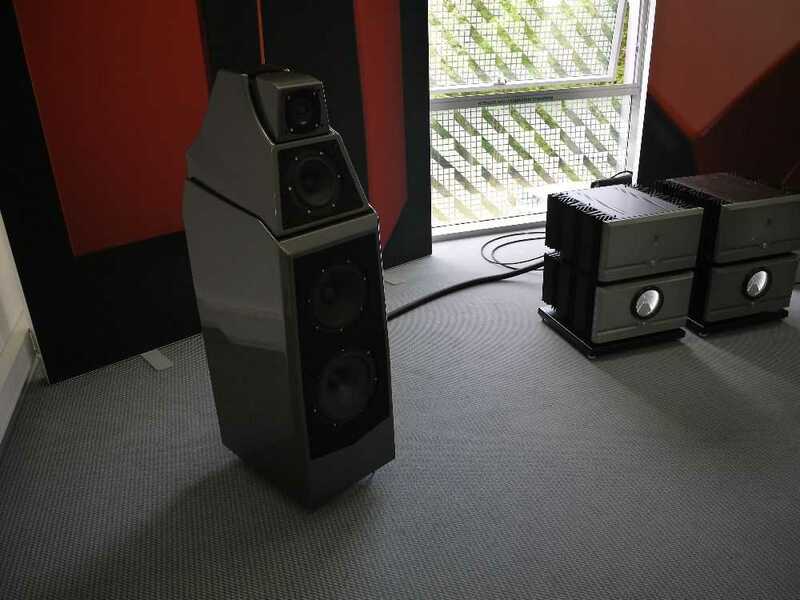 Grimm Audio had their loudspeaker LS1. This is a fully active three way monitor with impulse correction. The subwoofer cleverly hidden in the foot of the integrated stand. 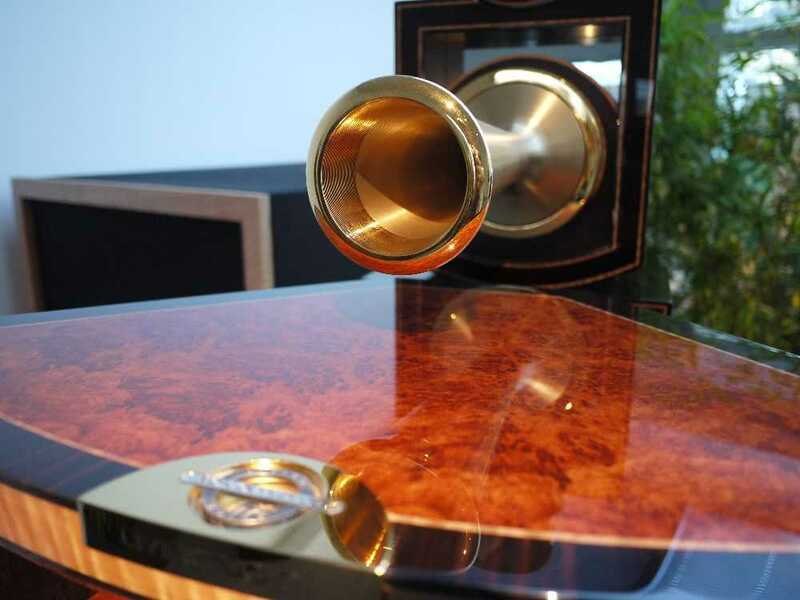 Now this is a serious speaker, but also beautifully looking, so you will get wife approval easily. 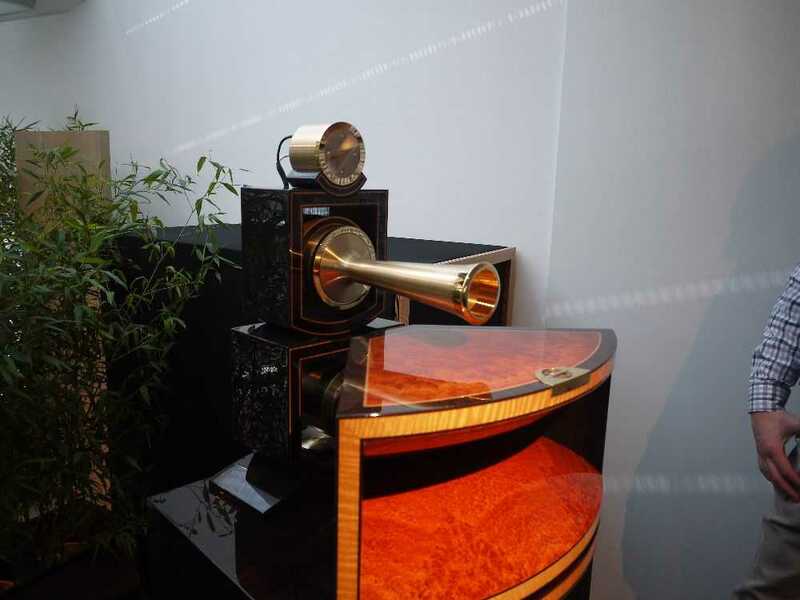 Avantgard not only had their huge big system, but also a small three way active horn speaker named Zero1, digitally corrected, connected with WLAN, ready for use with your media center. And it looks like an electrostat, rather. 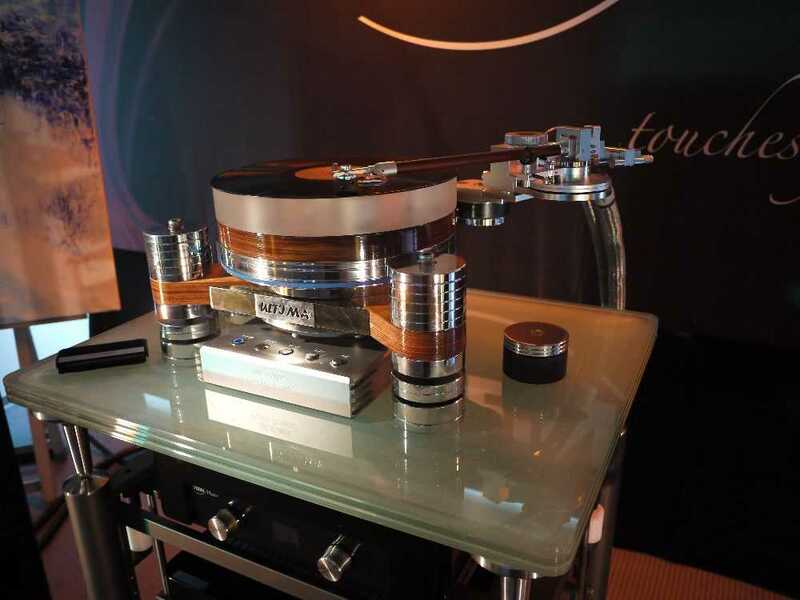 Price is 9000 EUR/pair, which is low compared to the common price inflation on high-end audio products. Don't overlook the Zero1 on the next picture. 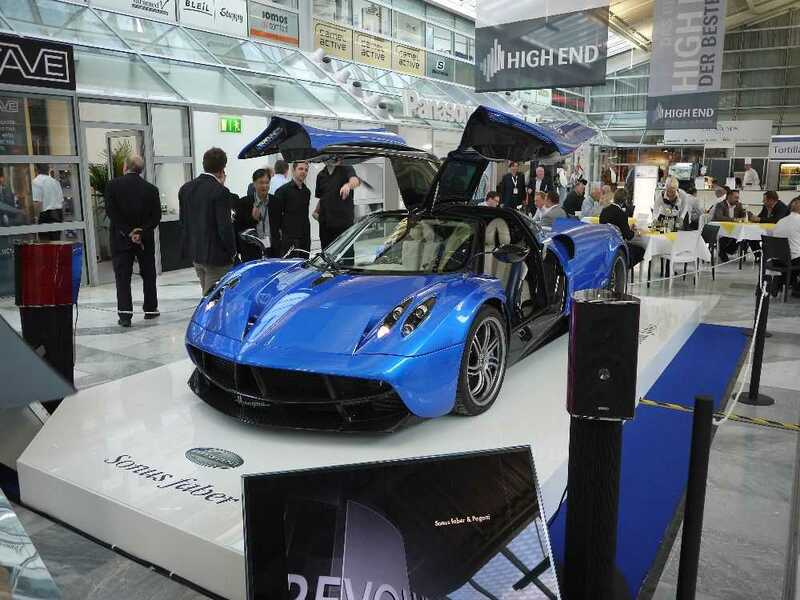 At the show there were also a Porsche Cayenne with Burmester hifi setup inside, and a Sonus Faber equipped Pagani super sports car. 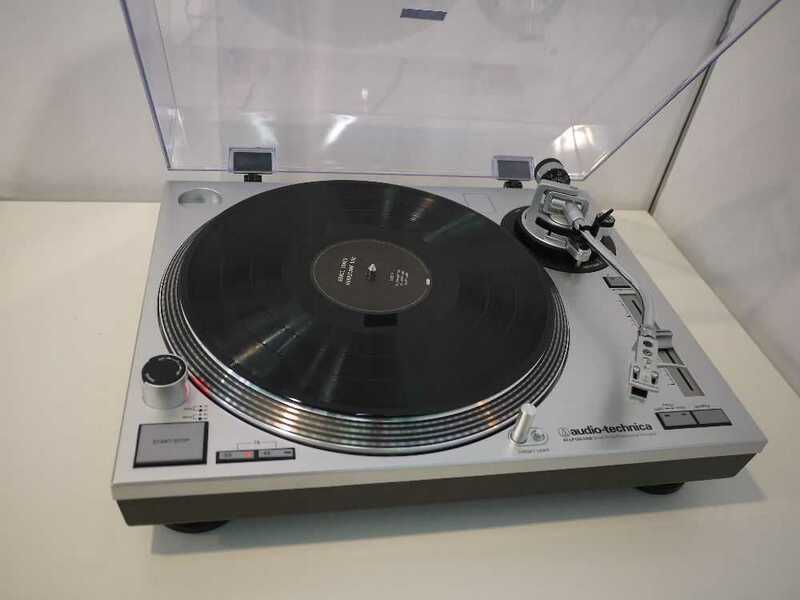 Audio Technica showed a Technics 1210 lookalike turntable, but with USB outputs and at half of the price of the original, only 332 EUR including the AT-95 moving magnet cartridge. 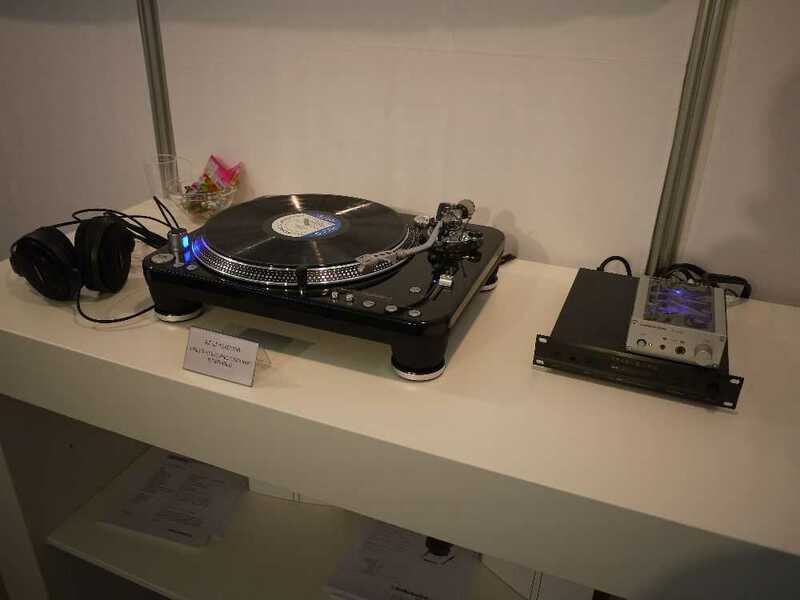 They also had a very elegant non-DJ-look version at 595 EUR, which I rellay liked.